Everybody knows that Kim Kardashian broke the internet but not everybody knows that Hunter broke Yammer! At a recent post roll out review meeting with Virgin Trains West Coast, senior Virgin staff revealed that on the day of Hunter’s roll out Virgin’s Yammer system spiked to its highest ever levels. 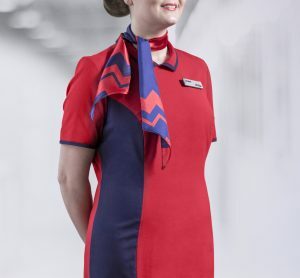 The response was so overwhelmingly positive about the transformation in the quality of the Hunter uniform received by Virgin staff that Yammer basically ‘fell over’. “The best day in my career as Executive Director of HR for the past 10 years”.